09 Jan How can people develop more confidence when presenting in front of an audience? Structure the message – if you have a nice, tight, well-crafted message and you have designed it with a model that allows you to remember the information without relying on notes, then of course you’ll feel more confident! I teach three models for the design and structure of a presentation: 13-steps, 4Mat and Storyboarding. These models help you know what to say and when to say it so that the audience’s needs are met and so you are more likely to change their behaviour. Connect with the people – when it’s time to deliver your presentation it’s essential to re-read your slogan: IT’S NOT ABOUT ME, IT’S ALL ABOUT MY AUDIENCE, and to look into the whites of your audience’s eyes – really see the individuals in the audience, rather than skim their heads or pretend to look at them. Know they are real live humans who you have the wonderful opportunity to influence and help. This takes your focus off your nerves and places your attention on the audience – which in turn enhances your connection or rapport with them. If you are not focused on yourself, how could you be nervous? Remember, it’s not about you, it’s all about the audience! Get feedback – in my experience, many people focus a lot on their negative points and their nervousness, rather than on their positive attributes like their voice or their personal presentation. Setting up a system in your organisation where you can give and receive feedback from others whom you respect, and who are sensitive to your needs, is a great way of finding out what you are doing well. 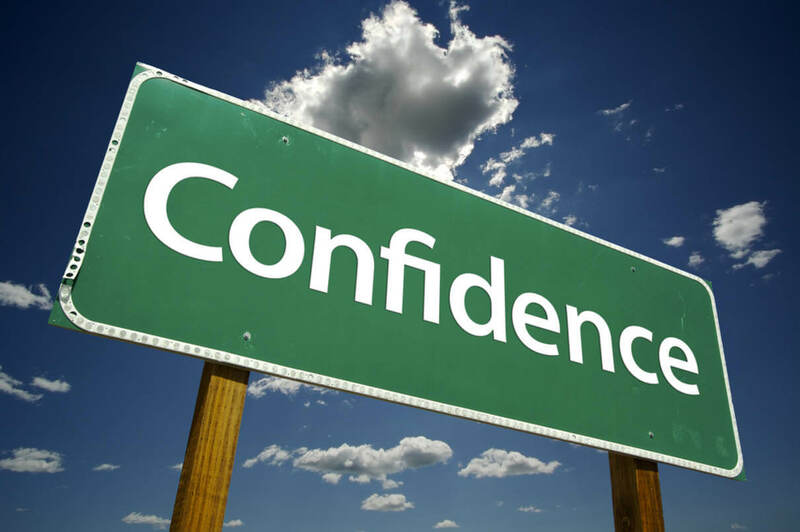 This can boost your confidence tenfold.